There are only 26 countries available for China/Hongkong Post Air Mail in Aliexpress system. But actually it can reach more than 100 countries via China/Hongkong Post Air Mail. So we add TNT shipping link for the buyers whose countries are not available for China/Hongkong Post Air Mail in Aliexpress system. Please understand that the shipping charge of China/Hongkong Post Air Mail and TNT is not the same, we will ship out the item by China/Hongkong Post Air Mail not by TNT. If you need other shipping method, please contact us for shipping cost. 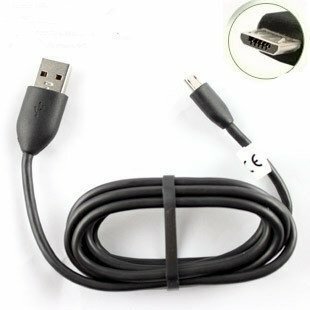 Data sync Charger Cable with Micro-USB plug for HTC Android EVO HD 2 etc. HTC USB Data Cable (micro USB), when used with appropriate software, lets you manage the file contents of your cell phone. Enables you to sync data, backup your contacts, transfer files to and from your cell phone and computer. Also charges your phone from and computer or laptop USB port. Depending your phone, service provider and software, USB Data Cable can facilitate internet access for your computer, synchronize with Microsoft Outlook or other sync applications. 2.We accept, Credit card, Western union, Money gram and TT. 1.We will send out your item as soon as possible, usually in 1-3 days after your payment. And we only ship to the address you left on the Aliexpress. Will write you the tracking number after the sending. 2.Different shipping methods take different time for you to get the goods, so before you choose the shipping method please notice the shipping time it takes. 3.We are not responsible for any accidents, delays and other issues that are the responsibility of the shipping service. Please tell us how much we must write for the Custom Value, so you can pay less import Tax. Or we will declare it as a GIFT with a lower price. This lower price does not reflect the total price you paid or the market value of the product. 4.Any import Tax and Custom fee are the buyer’s responsibility. 1.All the returns need to be sent by your local registered post mail or EMS. 2.If you ship by DHL, UPS or others, we are not able to receive it due to China Custom regulation. 3.Please do contact us for return address and details. We do not accept any returns without previous notice. 1.Feedback is very important to us. Once you have received your items, please take time to leave feedback to inform us that you are satisfied with our goods and service. Positive feedback will help us improve our products and service. 2.Please don’t leave Negative feedback without asking us for help first. We will do our best to give you best solvings of problems, so if there is some problems, plesae communicate with us first, and we will give you the best solving.